Human Diploid Cells (aborted fetal tissue) provide the “Cell culture” in which vaccine formulas are often grown/nurtured. 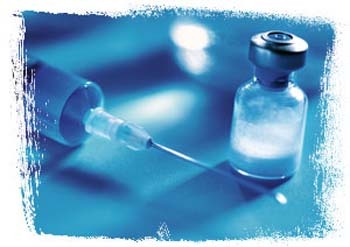 All Standard immunization vaccines in circulation requiring Human Diploid Cells (HDC), including those discontinued vaccines which utilized HDC since its inception in 1961, have derived the cell strain culture itself from one exclusive, carefully guarded “batch” or stockpile; comprising the fetal remains (lung tissue) of a female fetus of 3-months gestation (acquired in 1961/US), and those of a terminated 14-week-old male fetus (acquired in 1966/UK). Human Fetal Links with Some Vaccines; ‘Human diploid cells are batches of human cells that are grown in a laboratory. 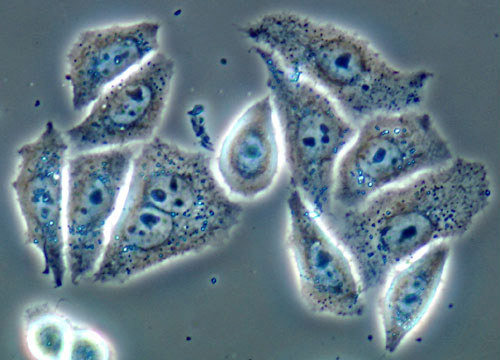 Unlike cancer cells, they have the same number of chromosomes as normal human cells. Certain diploid cell strains are valuable in vaccine manufacture because these cells can be used for a very long period of time in the laboratory and are a reliable means by which many viruses that infect humans can be successfully and easily grown. Vaccines prepared in human diploid cells have proven to be very safe over the past several decades. Two different strains of human diploid cell cultures made from fetuses have been used extensively for vaccine production for decades. One was developed in the United States in 1961 (called WI-38) and the other in the United Kingdom in 1966 (called MRC-5). WI-38 came from lung cells from a female fetus of 3-months gestation and MRC-5 was developed from lung cells from a 14-week-old male fetus. Both fetuses were intentionally aborted, but neither was aborted for the purpose of obtaining diploid cells.123. The fetal tissues that eventually became WI-38 and the MRC-5 cell cultures were removed from fetuses that were dead. The cellular biologists who made the cell cultures did not induce the abortions. When a human life is cut short in utero, then reduced to “minced (meat) preparations of tissue in a Petri dish”…”torn apart with two pairs of forceps until the pieces could no longer conveniently be grasped and shredded”, labelled as “cell strains (which) do not and cannot form a complete organism and do not constitute a potential human being”, all in the name of scientific progress, you know something is definitely wrong with the ethical parameters supporting Modern Medical research. Mother & baby-to-be share the same Immune System, during all three trimesters, while the Fetus is ‘in Utero’, via the Placenta. When a mother (or father) already has a compromised Immune System and/or pre-existing Medical conditions, any such infection/disorder/disease will often factor into the equation; in terms of co-infecting/altering the DNA genetic blueprint of the offspring/progeny. The introduction of Human Diploid Cells for use in Vaccine Technology followed closely on the heels of the disastrous Salk & Sabin Polio inoculation campaign; both in the United States (1954-55) and subsequently in Britain (1957). ‘The introduction of polio immunisation was accompanied by mass campaigns targeted at all individuals aged less than 40 years.‘ – a time-frame where-in either set of PARENTS from which the Human Diploid Cells specimens were found, could obviously have been previously vaccinated with the Salk live Poliomavirus vaccine. Therefore, the specimens which comprise the exclusive Human Diploid Cell culture stockpile, may very well have inadvertently been co-infected with Simian Virus SV40, hidden in the germ-line DNA of either Fetus – the result of direct SV40 contamination from the Salk Vaccine (live Poliomavirus) co-infecting the DNA of either set of parents responsible for the baby’s genetic material now in widespread use; subsequently passed on from mother to Fetus via the Placenta. An entire generation has since been inoculated with vaccines containing the original Human Diploid Cell culture set. If, indeed, there was any SV40 cross-contamination embedded in the lung tissue culture extracted from either Fetus, the primary HDC source in circulation, it is logical to determine that SV40 cross-contamination has also made its way into those who were subsequently vaccinated (intramuscularly, subcutaneously or via oral drops) with the same Human Diploid Cell culture source. This would certainly explain the recent Controlled Study where-in Poliomavirus infection was identified in postmortem brains of sufferers of Autism (67% co-infection with Simian Virus/SV40). 1. Direct SV40 cross-contamination from the Salk Vaccine (live Poliomavirus) co-infecting the DNA of either set of parents responsible for the baby’s genetic material now in use; passed on from mother to child via the Placenta & Colostrum (Endogenous retrovirus). 2. Direct SV40 cross-contamination of the child’s DNA (germ-line mutations) from the Salk Vaccine (live Poliomavirus), embedded in the Brain white-matter. 3. Indirect SV40 contamination from another vaccine (ie. Inactivated Polio – African Green Monkey Monkey Kidney “benign” version, Oral Polio drops – African Green Monkey Monkey Kidney “benign” version), co-infecting the DNA of either set of parents responsible for the baby’s genetic material now in use; passed on from mother to child via the Placenta & Colostrum (Endogenous retrovirus). 4. Indirect SV40 contamination from a vaccine derived from contaminated Human Diploid Cell culture (ie. Inactivated Polio, Oral Polio Drops, Hepatitis A, Measles, MMR – Rubella component) co-infecting the DNA of either set of parents responsible for the baby’s genetic material now in use; passed on from mother to child via the Placenta & Colostrum (Endogenous retrovirus). 5. Indirect SV40 contamination from a vaccine derived from contaminated Human Diploid Cell culture (ie. 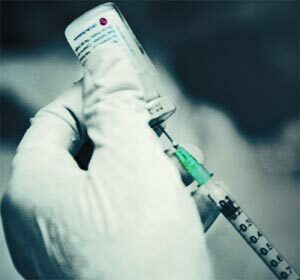 Inactivated Polio, Oral Polio Drops, Hepatitis A, Measles, MMR – Rubella component) co-infecting the child. 6. Indirect SV40 contamination from another Polio type vaccine (ie. 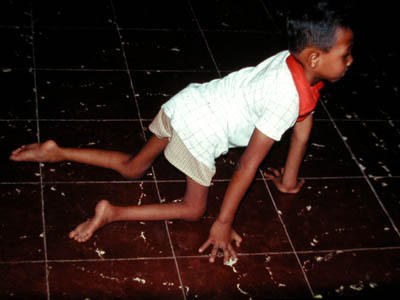 Inactivated Polio – African Green Monkey Monkey Kidney “benign” version, Oral Polio drops – African Green Monkey Monkey Kidney “benign” version) co-infecting the child. The multi-billion dollar Vaccine Industry has routinely been utilizing Human Diploid Cells gathered from sections of a mere two individual Fetuses. But these select babies-to-be didn’t come out of thin air…they’re not Adam & Eve either. Their individual DNA genetic blueprints, the unique germ-line DNA of either Fetus was determined by each set of parents, whose own individual DNA genetic blueprint, each unique set of germ-line DNA was previously determined by their own set of parents, etc etc etc. This has everything to do with history. Endogenous retroviruses – remnants of ancestral exogenous retroviral infections fixed in the germline DNA. And remember, they were both conceived during one of the darkest chapters in Modern Medical history – that of the Salk & Sabin Polio Vaccine debacle. The original Salk & Sabin Polio vaccine spawned a host of hitherto rare/unseen/unknown malignant forms of Cancer & crippling/debilitating neuro-devlopmental/neurological Syndromes & Disorders (which has provided a bonanza of surplus wealth to the Western Medical Establishment) including: Mesothelioma (fatal tumor of the membrane surrounding the lungs), Brain Cancers ( Ependymomas & Choroid Plexus Tumors, Astrocytomas, Glioblastomas, Medulloblastoma, Meningiomas), Bone Cancers (Osteosarcomas, Chondrosarcoma & Giant Cell Tumors), Post-Polio Syndrome, Myalgic Encephalomyelitis, Aseptic Meningitis, Non-Hodgkin Lymphoma & Chronic Fatigue Syndrome. We can now add Non-Polio Acute Flaccid Paralysis to that list. Thanks, in full, to the WHO & Bill Gates. 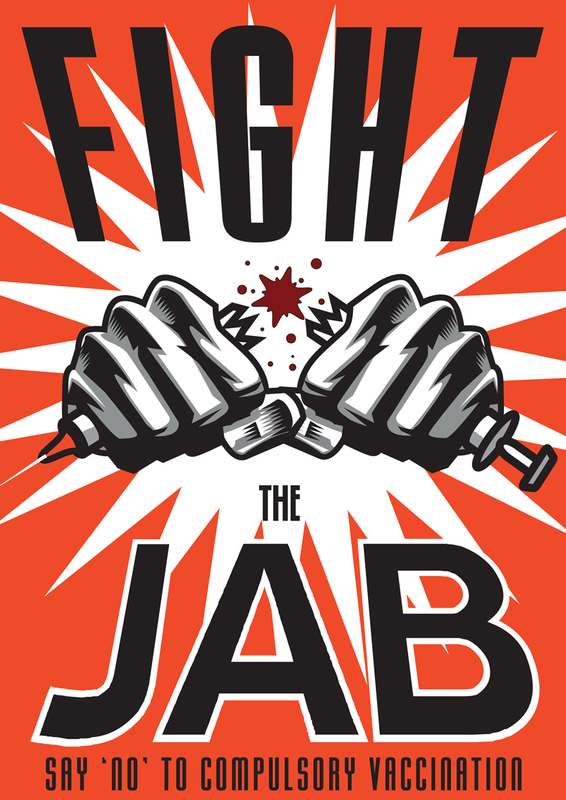 “Many here voice a silent view that the Salk and Sabin vaccine, being made of monkey tissue…has been directly responsible for the major increase in leukemia in this country.” Frederick Klenner M.D. – including cross border transference of Non-Polio Acute Flaccid Paralysis type Polio (clinically indistinguishable from polio paralysis but twice as deadly) through inevitable post-immunization community wide viral shedding. The same cross-contamination, hybrid Polio strain will concurrently be passed on, generation to generation, throughout impoverished areas, embedded in the baby’s genetic DNA material, via the mother’s placenta & colostrum. Why is this issue so important? Because Polio has become the Vaccine Industry’s flagship model of so called progress, and an argument perpetually used in favor of imposing vaccine uptake on the general population. The Western Medical Establishment & those who still trust in that system for answers, always look to their having “conquered” Polio as a benchmark justifying Herd Immunity type Immunization, in terms of succeeding where nature, left to its own devices, would have inevitably failed us. They have now adopted a “case closed” approach to Polio in India & elsewhere, despite the exponential surge in numbers occurring throughout the Third World. The truth is, Malaria, NOT Polio, has always represented the single greatest threat to survival in the poorest regions throughout the Third World – and the locals everywhere know it. ‘A third of malaria drugs used around the world to keep the spread of the disease at bay are counterfeit‘…“In Africa polio does not kill anybody and they say it’s very rare to catch. It’s really very rare to get paralytic polio. They say it’s in very rare circumstances, so what is it that is killing people in Africa? Malaria. Every five seconds a child is dying of malaria in Africa. Now to get the dose of life-saving anti-malaria is about $5 but there is no government to give anti-malaria.‘ But instead of providing high quality, safe & efficacious Malaria treatment, community access to clean water, holistic dietary improvements ie. growing local natural food sources, and the independent means to sustain that infrastructure, The World Health Organization, CDC, NIH, all Government run Health Departments & those wealthy Philanthropists who have jumped on the bus & wrapped themselves around the same flag, are all fervently pushing the Polio Mass Vaccination Program on the Third World as some great savior and answer to our prayers. 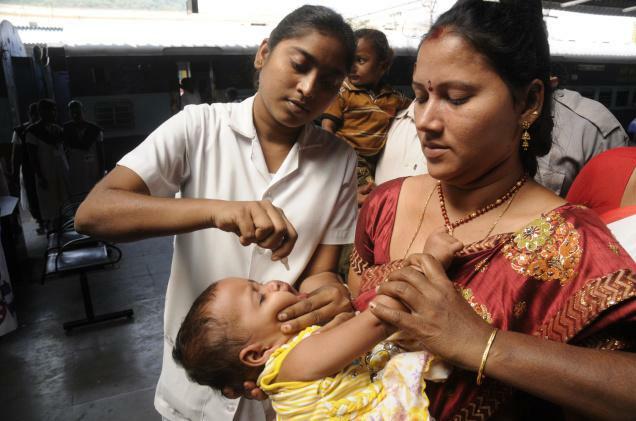 During 2011, incidence of Non-Polio Acute Flaccid Paralysis in India, alone, sky-rocketed to 60,754 cases; coinciding with the culmination of the most intense, widespread phase ever conducted in India’s Oral Polio Vaccination “reaching every child” campaign. While meanwhile the WHO have conveniently removed India from the list of Polio endemic countries; because they’re not looking for a Polio hybrid in the first place. 1. Children who “cannot be reasonably consulted,” such as those that are mentally handicapped or orphaned newborns, may be studied. With permission from the institution or guardian in charge of the individual, the child may be studied. 2. Parental consent forms are not necessary for studies with children who have been neglected or abused. On January 18, 2011 (under the Obama/Soetoro Administration) the EPA “Administrator”, Lisa P. Jackson, enacted ‘Revisions to EPA’s Rule on Protections for Subjects in Human Research Involving Pesticides; Proposed Rule’; where-in the use of “third-party research” type test subjects (ie. mentally challenged/foster/orphaned children) was ostensibly to be officially banned as an acceptable practice; shifting the burden of proof & responsibility onto the Chemical/Pesticide/Drug Manufacturer (ie. Bayer Pharmaceuticals, founded by Nazi sympathizer I.G.Farben, who knowingly infected thousands of hemophiliacs, mostly children, with the Aids virus contaminated Blood Thinner ‘Factor 8‘ in the 1970s through until at least 1985). However, on closer viewing, the same controversial policy is being allowed to slide under the radar through carefully worded loopholes. “The fact that EPA allows pesticide testing of any kind on the most vulnerable, including abused and neglected children, is simply astonishing,” Sen. Barbara Boxer, D-Calif.
An astoundingly accurate new Study just out of China confirms what I’ve been saying all along about Vaccine derived toxicity. In the order to determine the source of neuro-developmental disruption & neurological trauma occurring in babies, it is necessary to follow the breadcrumbs back to the scene of the crime. This represents the bedrock of good detective work; (something out of step with Vaccine Industry protocols of cover-up & deception). Consequently, it doesn’t take a rocket scientist to determine that the Hepatitis B Vaccine, typically administered to babies in the first 12 hours after birth, a toxic cocktail containing 5 mcg of hepatitis B surface antigen cloned into yeast (GMO), adsorbed onto approximately 0.5 mg of amorphous aluminum hydroxyphosphate (Formaldehyde-treated), poses a singular threat (premature breach) to the vitality & efficacy of a baby’s delicate, under-developed “electrical grid system”, comprised of the Meninges, Blood-Brain barrier & Mylene Sheath, the natural shielding designed to eventually protect their brain & central nervous system from a lifetime of toxic overload incurred. Research scientists have now identified and admitted to a direct causal link between subcutaneous/intramuscular injection of the Hepatitis B Vaccine and “loss of mitochondrial integrity, apoptosis induction, and cell death”. This is a ground-breaking revelation & admittance, certain to cause a seismic shift, not only in the insulated Medical circles, bought & paid for by a corrupt Vaccine Lobby & well-financed Media propaganda machine, but throughout our local communities, as more & more parents wake up to the lie that is the ENTIRE Vaccine Industry. In all instances of early childhood neurological impairment/neuro-devlopmental disorders, mitochondrial antibodies are elevated – which suffocates Eukaryotic cells (complex structures enclosed within membranes). Mitochondria are the battery pack of your cells. “Mitochondria play an important role in controlling the life and death of a cell. Consequently, mitochondrial dysfunction leads to a range of human diseases such as ischemia-reperfusion injury, sepsis, and diabetes.” Most Eukaryotic cells contain other membrane-bound organelles such as mitochondria, chloroplasts & Golgi body. “Primordial eukaryotic cells lacked ability to use oxygen” – excerpt/Autistic case file. NEW STUDY FINDINGS – Hepatitis B vaccine induces apoptotic death in Hepa1-6 cells: ‘ Vaccines can have adverse side-effects, and these are predominantly associated with the inclusion of chemical additives such as aluminum hydroxide adjuvant. The objective of this study was to establish an in vitro model system amenable to mechanistic investigations of cytotoxicity induced by hepatitis B vaccine, and to investigate the mechanisms of vaccine-induced cell death. The mouse liver hepatoma cell line Hepa1-6 was treated with two doses of adjuvanted (aluminium hydroxide) hepatitis B vaccine (0.5 and 1 μg protein per ml) and cell integrity was measured after 24, 48 and 72 h. Hepatitis B vaccine exposure increased cell apoptosis as detected by flow cytometry and TUNEL assay. Vaccine exposure was accompanied by significant increases in the levels of activated caspase 3, a key effector caspase in the apoptosis cascade. Early transcriptional events were detected by qRT-PCR. We report that hepatitis B vaccine exposure resulted in significant upregulation of the key genes encoding caspase 7, caspase 9, Inhibitor caspase-activated DNase (ICAD), Rho-associated coiled-coil containing protein kinase 1 (ROCK-1), and Apoptotic protease activating factor 1 (Apaf-1). Upregulation of cleaved caspase 3,7 were detected by western blot in addition to Apaf-1 and caspase 9 expressions argues that cell death takes place via the intrinsic apoptotic pathway in which release of cytochrome c from the mitochondria triggers the assembly of a caspase activation complex. We conclude that exposure of Hepa1-6 cells to a low dose of adjuvanted hepatitis B vaccine leads to loss of mitochondrial integrity, apoptosis induction, and cell death, apoptosis effect was observed also in C2C12 mouse myoblast cell line after treated with low dose of vaccine (0.3, 0.1, 0.05 μg/ml). In addition In vivo apoptotic effect of hepatitis B vaccine was observed in mouse liver.‘ Hamza H, Cao J, Li X, Li C, Zhu M, Zhao S., Key Lab of Agricultural Animal Genetics, Breeding, and Reproduction of Ministry of Education, College of Animal Science and Technology, Huazhong Agricultural University, Wuhan, 430070, People’s Republic of China/2012 May;17. Immune suppression has everything to do with point of entry into the body; in addition to the timing of exposure to these toxic elements. The vast majority of infections enter the body through the nasal passages & the Gastro-Intestinal Tract or the guts. Accordingly 80% of the body’s immune system is stationed at these junctures – the first line of defense. Vaccines are injected into deep muscle tissue/subcutaneously, either route which literally bypasses one’s natural defenses altogether. Inadvertently, heavy metals, excipients & live viruses/bacterium that would otherwise be sequestered & chelated out of the body, will unnaturally accumulate in the bloodstream. The very young (babies and small children) are at a high risk because their brains are undergoing the most rapid development at the very time they receive the greatest number of vaccinations. Timing is CRITICAL. A baby has no blood barrier (physiological mechanism that alters the permeability of brain capillaries so that some substances, such as certain drugs, are prevented from entering brain tissue, while other substances are allowed to enter freely) on the brain – so that vital, unfinished area is still completely raw. The Myelin Sheath, a casing or insulator which protects the baby’s basic cells, is also under-developed. Early Onset Autism, which occurs anywhere from 12-18 months, coincides precisely with most intense period of standard immunization. 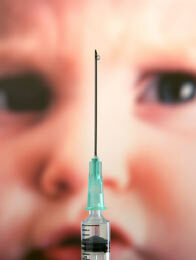 By 15 months the average child in most developed countries, has received a minimum of 25 injections. This results in severe heavy metal toxicity interfering with the earliest stage of development, during the first 6 months after birth. A baby’s blood-brain barrier takes no less than 7 months to establish its primary protective shielding: ‘It has been established that by week 28 of the intrauterine development the process of the structural and functional establishment of the BBB (blood-brain barrier) had been over as evidenced by the lack of specific alpha-1-globulin in umbilical blood of the neonates of the given gestation age.’ Volodin NN, Chekhonin VP, Tabolin VA, Rogatkin SO, Kashparov IA. The synergy of vaccine derived heavy metal-virus-mycoplasma-excipie​nt toxicity “sludge” targets 3 primary core “electrical grid” stations encasing the nerve center/brain – kin to throwing water over a main keyboard operating system.In the event the Blood-Brain barrier, Myelin sheath & Meninges are breached, particularly at such an early stage in early childhood development, neuro-developmental disorders will inevitably follow. It seems a master Electrician knows more about overall functionality of the human body than your average Pediatrician. ‘The human blood is a colloidal suspension. Proteins, Amino acids, heavy metals etc., are carried in suspension within the blood as a function of the net negative charge within the system. Drop the net negative charge, flow pressures in tiny end blood vessel “pipes” will start to sludge, agglomerate, and increase viscosity of blood in circumscribed microscopic vascular areas. This “sludging” is activated when Aluminum (64 times more positive than colloidal blood products are negative) interacts with Hemoglobin in flow, in the negatively charged environment. This causes the negatively charged blood products to “attract” towards the larger, more massive positively charged Aluminum, causing clumping or “sludging”. This restricts blood flow, and it changes the Zeta Potential to change from -15mv (minus 15 milivolts) towards -10 mv (minus 10 milivolts), or possibly closer to zero. This is an increase in Zeta Potential, from a negatively charge towards neutral. (This is somewhat analogous to a change in state of water as it turns to ice – it’s a change in viscosity, affecting blood flow). Blaylock goes even further, suggesting another common Medical Industry oversight, that vaccine derived viruses linger in the organs for decades to a lifetime. After 50 years of prolonged subcutaneous exposure to aluminum the gradual slide toward auto-immune failure, including a host of disorders such as Alzheimer’s, seems inevitable. What is the root cause of Autism Spectrum Disorder? Vaccines are the main cause of Autism, primarily due to accumulative damage from the Hep B, PCV, HIB, IPV, MMR & DPT shots (multiple live viruses + heavy metal build-up) – leading to Ischemia, a singing of the neural pathways from toxic overload which prevents vital oxygen from reaching the brain, literally inhibiting normal development. Anaphylaxis, a system-wide allergic & functional breakdown, and Encephalitis, inflammation of the brain resulting from vaccine derived heavy metal sludge toxicity, inevitably follow. Immune suppression has everything to do with point of entry into the body; in addition to the timing of exposure to these toxic elements. The vast majority of infections enter the body through the nasal passages & the Gastro-Intestinal Tract or the guts. Accordingly 80% of the body’s immune system is stationed at these junctures – the natural first line of protection. Vaccines are injected into deep muscle tissue, or subcutaneously, either route which literally bypasses one’s natural defenses altogether. Inadvertently, heavy metals & live viruses that would otherwise be sequestered & chelated out of the body, will unnaturally accumulate in the bloodstream. Babies are at a significantly higher risk of susceptibility to long-term damage than children past 24 months old, because their brain & central nervous system are undergoing the most rapid development at the very time they receive the greatest number of vaccinations (a baby’s blood-brain barrier takes no less than 7 months to establish its primary protective shielding). The synergy of vaccine derived heavy metal-virus-mycoplasma-excipient toxicity “sludge” targets 3 primary core “electrical grid” stations encasing the nerve center/brain – kin to throwing water over a main keyboard operating system. In the event the Blood-Brain barrier, Myelin sheath & Meninges are breached, particularly at such an early stage in early childhood development, neuro-developmental disorders will inevitably follow. Timing is the critical factor in all instances pertaining to the onset of Autism. Early Onset Autism occurs anywhere from 12-18 months, potentially even earlier. It is significant that autism coincides precisely with most intense period of standard immunization. According to the CDC’S ‘Recommended Immunization Schedule for Persons Aged 0 Through 6 Years—United States • 2010′ by 15 months the average child has received 25 injections including: 3 doses of Hepatitis B (administered at 12 hrs old), Rotavirus, HIB (Haemophilus Influenzae Type b), IPV (Inactivated Polio Vaccine) & Hepatitis A, 4 doses of DPT (Diphtheria, Pertussis, Tetanus) & PCV (Pneumococcal Conjugate Vaccine), 1 dose of Varicella & Meningococcal and 2 doses of MMR (Measles, Mumps, Rubella). Children with Autism Spectrum Disorder have had the rug pulled out from under them at a critical stage of early development, stripped of their vital mineral base, Mitochondrial & Thyroid functionality (including the liver), their delicate “electrical grid” nerve center violated – which significantly inhibits the capacity of the body to carry out its normal systems of operation. The gut level “plumbing” crisis is the end result of a “house” in crisis; ground zero for neurological & neuro-developmental disfunction. Aluminum is a positively charged bio-conductive element, 64 times more positive than colloidal blood products (ie. anything suspended in your blood) are negative; with the properties of a coagulant. It literally draws in all other metals & toxins in its path. When injected into deep muscle tissue or subcutaneously, this neurotoxin gets redistributed via the bloodstream (consisting of 90% water) to areas of fatty tissue (highly electrical tissues – negatively charged) throughout the body, builds up over time in these delicate centers; primarily in the Brain, Spinal cord, Myelin sheath, Meninges, cardiac cells, breasts & ovaries (in women), prostate (in men), kidneys, liver, gut & bowels. This “sludging” is activated when Aluminum interacts with Hemoglobin in flow, in the negatively charged environment. This causes negatively charged blood products to “attract” towards the larger, more massive positively charged Aluminum, causing clumping or “sludging”. What are the primary culprits which render an infant completely vulnerable to neuro-developmental disorders such as Autism? Note: Every major organ & gland (comprising the Thyroid, Thymus, Pituitary, Pineal, Adrenal, Pancreas, Ovaries, Testis) are entirely interdependent, a magnificently delicate apparatus of interconnections, without any one of which, the entire system of operations will inevitably fail, leading to a chain-reaction of adverse metabolic breakdown, deterioration in effectiveness of your natural health & compromised immunity. The Thyroid Gland, in particular, serves a tremendous purpose in the body. It is key to overall health; considered a master gland which indirectly regulates your metabolism. The extent of its ability to function normally determines the viability of your heath – it is a bell weather indicator. 8. Ensuing depletion of vital nutrients (trace minerals & anti-oxidants) from the body. Common deficiencies amongst children with Autism frequently include: Vitamin A, B6/B12, C, D3, E, Glutathione, Selenium. These are the body’s primary antioxidants & trace minerals, essential to regulating Free Radicals (unpaired Electrons) throughout the body, staving off Cancer, Diabetes, Autism, Schizophrenia & the rapid macro-degeneration of cells. Note: The Liver and Kidneys have important enzymes that change (synthesize) Vitamin D from the sun or food to the biologically active form of Vitamin D. In turn, the Lymphocytes (which service your lungs) also depend on Vitamin D3 (steroid hormone known as “cholecalciferol” derived primarily from direct exposure to sunlight & via fatty fish, egg yolks, and dairy products) in order to process Vitamins C & E, while regulating proinflammatory cytokines (those which make disease worse); thus staving off infections, ie. colds, influenza, asthma, bronchitis, pneumonia. In the case of children coping with Autism the mechanisms which normally enable the body to regulate all systems of functioning, to fight incoming infections, or process nutrients effectively, are severely compromised prematurely, which results in the rapid depletion of vital antioxidants & trace minerals, meant to service a child throughout the critical, early stages of development. Those of us fortunate enough to have avoided reaching this extreme must take stock & learn from these individuals. The often debilitating conditions they endure on a daily basis MUST serve as a bell-weather warning, a road-map to navigating our way out of the cavernous lair of ill-health. After all, many children in these tough circumstances are succeeding in reversing the symptoms of Autism & repairing their window to natural health through the intervention of a strict dietary protocol. The standard policy in all Palliative Care Units, once they deem the patient is beyond recuperation, with any modicum of “labored breathing &/or unresponsiveness” nursing staff are required to refuse water & nutrients to the patient. Typical excuses cited include Kidney failure & water retention issues,, or a system too weak to absorb nourishment etc. So instead they shift into the final gear, administering of opioid analgesics (hydromorphone drug ie. Dilaudid – known as ‘Smack’, a commonly abused narcotic sold to addicts on the streets) which exacerbates any labored breathing &/or unresponsiveness type symptoms to the point of a coma state; so it’s a vicious circle which ultimately results in a rapid decline & premature death of the individual. Like most powerful opioid analgesics, hydromorphone drugs offer a wide variety of frightening side effects, including: itching of the skin, dizziness, confusion, paranoia, dimness in vision, sedation, periods of “black out”, hallucination, inability to concentrate, mood swings, insomnia, a false sense of well-being, emotional instability, diarrhea, nausea, vomiting, constipation, dry mouth, loss of appetite, increase in appetite, hiccups, abdominal pain, loss of sexual drive, nervousness, sweating, enlarged prostate gland, respiratory depression, slow and shallow breathing, and weak pulse. Time & time again, patients who are well within reach of recovery (given a rapid holistic natural health protocol type intervention) inadvertently die from dehydration in their hospital bed, while family members wait unknowingly by their bedside. Cancer is not a life sentence, despite what you are being told by so called Medical “experts”. Most symptoms can be reversed & natural health gradually restored – but only by embracing a holistic, full spectrum protocol utilizing natural health methodology. Those who choose the path of Chemotherapy, vivisection & Western Allopathic Drug treatment are simply feeding the cancer and increasing the likelihood of an early, painful death. This is the essence of population control aka Eugenics in action, nothing short of legislated euthanasia wrapped in a deceptive “quality of life” or “pain management” Trojan Horse type argument, which endorses a termination of life policy throughout our most trusted Hospitals & Clinics, what is now being called the softer seeming “bio-ethics” movement, a term coined by Gobalist kingpin & advisor to Presidents, Zbigniew Brzezinski (founder of The Trilateral Commission); chosen to replace the more frightening Hitlerian term ‘Eugenics‘ in the Media. So far it seems to have passed unnoticed. The Western Medical Establishment is complicit in undermining the entire bedrock of natural immunity throughout our communities, a convergence of post vaccination adverse reactions, exacerbated by hospital administered Prescription Drugs, which is responsible for MOST, IF NOT ALL CASES of neurological breakdown occurring in the body – chiefly Anaphylaxis (a system-wide allergic & functional breakdown, described as ‘a severe, whole-body allergic reaction to a chemical that has become an allergen‘), and Encephalitis (inflammation of the brain & meninges/Meningoencephalitis manifesting as ‘diffuse and/or focal neuropsychological dysfunction‘); including the eventuality of “multifocal or atypical demyelinating syndromes” (ie. Multiple Sclerosis). Acute exposure to vaccine derived heavy metal-virus/bacterium-excipient “sludge” can lead to a host of auto-immune disorders: Autism, Downs Syndrome, Schizophrenia, ALS (Amyotrophic Lateral Sclerosis aka Lou Gehrig’s Disease), Lupus, Parkinson’s & Alzheimer’s Disease, cognitive disfunction, Macrophagic Myofasciitis, Chronic Fatigue Immune Dis-function, Fibromyalgia, Lupus, Multiple Sclerosis, Bells Palsy, Stevens-Johnson Syndrome, Rheumatoid Arthritis, Adult & Juvenal Type 1 Diabetes, Crohn’s Disease & Colitis (Inflammatory Bowel Diseases), Guillaine-Barre Syndrome, Staphylococcus Aureus (chronic anti-biotic resistant bacterial infection); including a cat’s cradle of otherwise avoidable hybrid cancers including Pancreatic cancer, Mesothelioma (fatal tumor of the membrane surrounding the lungs), Brain cancers (Primarily Ependymomas & Choroid Plexus Tumors, Astrocytomas, Glioblastomas, Medulloblastoma, Meningiomas), Bone cancers (Primarily Osteosarcomas, Chondrosarcoma & Giant Cell Tumors), Post-Polio Syndrome, Myalgic Encephalomyelitis, Aseptic Meningitis & Non-Hodgkin Lymphoma. In turn, the loss of natural anti-biotic/anti-viral resistance from the overuse (from any use whatsoever) of Prescription Anti-biotics & Anti-virals further erodes the viability of natural immunity, which leads to serious circulatory complications (ie. Myocarditis – inflammation of the heart muscle), often resulting in sudden death. The advent of “Herd Immunity” has done more to damage “natural” immunity than any plague or war experienced through the history of civilization. The entire methodology behind vaccines, including the manufacturing process itself, is rife with problems. We have become nothing more than statistics on a graph, vessels in a multi-billion dollar Industry out of control; one beholden to its own relentless greed. We were never meant to die so young nor suffer the litany of infections, disorders & diseases now plaguing our lives. Additionally, Cancer, once an exceedingly rare occurrence, has literally exploded in numbers. According to the World Health Organization ‘Cancer is a leading cause of death worldwide and accounted for 7.6 million deaths (around 13% of all deaths) in 2008. Deaths from cancer worldwide are projected to continue to rise to over 11 million in 2030.’ We are being domesticated as a society to accept the inevitability of cancer in our daily lives. If we don’t do something now, within one generation incidence of cancer & autism will be commonplace in most homes. Remember this quote and pass it on to those you love when they find themselves at the mercy of Western Allopathic Medical Mafia. The Medical “Establishment” lobby which has hijacked our Government Health Departments clearly values profit-making over enhancing the quality & longevity of life. Our Governments have seen fit to broker secret, binding deals with the UN/WHO & Vaccine Manufacturers, to the detriment of our safety & inherent, natural-born rights. We are seemingly headed toward a nightmare scenario, soon to be stripped of our fundamental privilege to choose, to determine for ourselves & our families what goes into our bodies. The only hope is to make it our primary goal to secure forever our sacred rights to self-determination of the body. This will depend on us taking a stand against whichever form of tyranny that threatens these fundamental, natural born, freedoms. There will indeed come a day when vaccination, vivisection, & irradiation will have gone the way of the dinosaur, replaced by non-invasive, genuinely holistic techniques; when Allopathic-type medicine, along with all the ancient tools of its trade, will crumble in the wake of an evolution of consciousness & common sense; when Cancer, Autism, Aids & other encompassing afflictions will have become but a reference footnote in history. Godspeed & good riddance, as they say. May natural immunity be your guiding light through these uncertain times ahead. Words to live by. Our ancestors were altogether tougher than we are today, having had no choice but to embrace the wisdom of natural health in order to survive. They were deeply connected with their environment and wisely passed on their knowledge of dietary & herbal remedies (balms, tinctures, broths, etc) from generation to generation; the single greatest threat – a lack of proper sanitation, hygiene & nutrition. In point of fact, despite claims of “progress” during the birth of the Industrial Age, settlers & homesteaders were routinely driven off the land which sustained them and herded into conditions of urban squalor. Gradually, somewhere along the road, we abdicated our role as leaders within the community, delegated private or elected committees & councils to determine the course of health freedom.